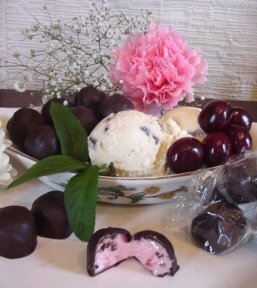 A vanilla cream center with chopped red cherries added. 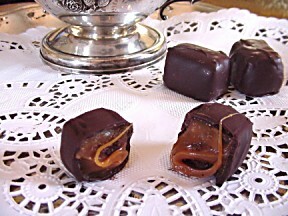 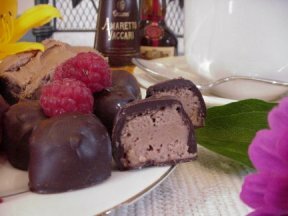 Our own vanilla flavored caramels coated in the best of pure rich dark chocolate! 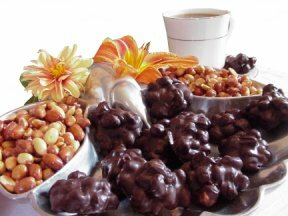 Fresh roasted and salted peanuts, dipped in pure dark chocolate. 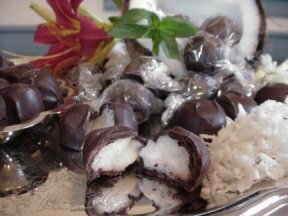 Fresh coconut in a vanilla flavored cream center sealed in our dark chocolate. 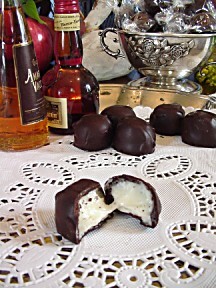 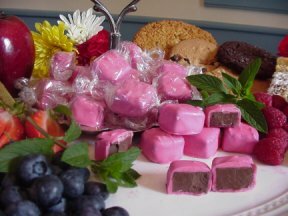 A butter cream center made with white sugar and fresh dairy cream. 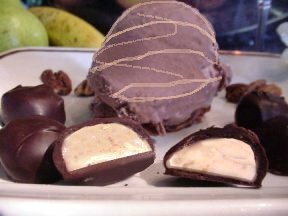 A REFRESHING LEMON CREAM CENTER COATED IN HEGGY'S FINEST DARK CHOCOLATE! 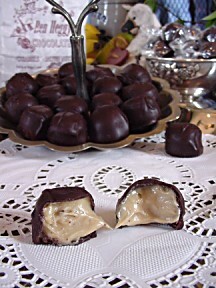 A soft maple flavored cream center with finely chopped english walnuts added.